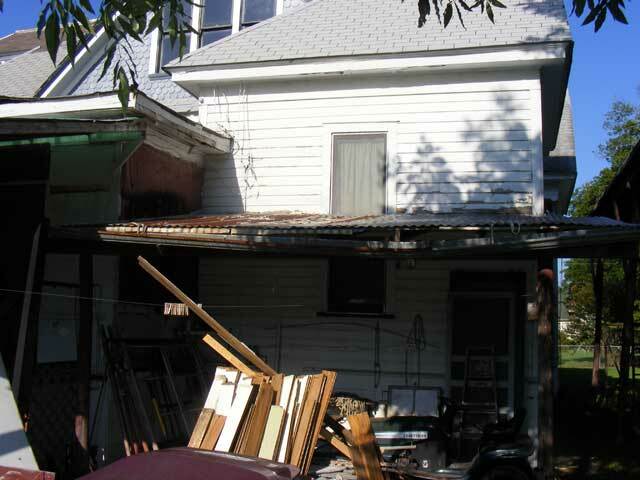 Y’all might recall the last post…where I stated in no uncertian terms that “The Shed Must Die”. Well…it’s mostly dead. I was deep into killing it but had to stop when the alert level was raised to DefCon “KillMaimBuzz”. Are y’all familiar with cedar bees? 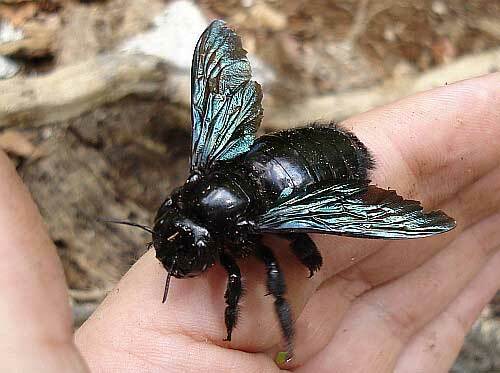 (otherwise known as Carpenter bees)? I HAVE mentioned that every living thing in Texas is either trying to eat you, or your house. Sometimes both. In this case, it’s the house. This shed structure…thing is infested with Carpenter Bees. We call them cedar bees here as they are literally the only thing that will munch on cedar structural timbers. 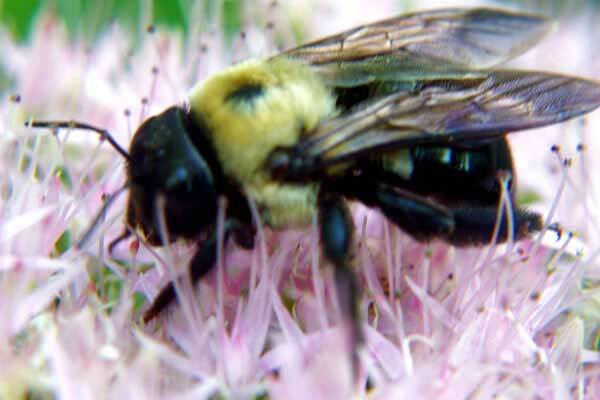 For those not familiar, they are a large fuzzy bee that is frequently mistaken for a bumble bee. Here’s a pic, swiped from the ‘net…since I couldn’t get them to hold still long enough for a decent closeup. Now, Carpenter Bees nest in wood. 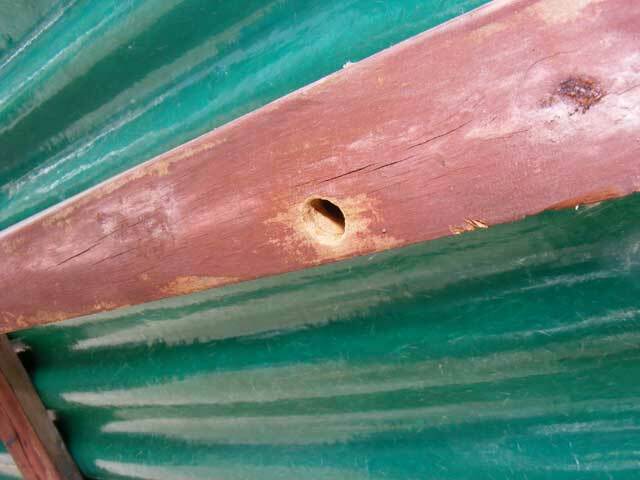 The female drills a hole in structural timbers, turns to follow the length, and can drill for several feet into the beam. She then lays her eggs and hangs around protecting the nest until she dies. The males buzz about during mating season, and can be very aggressive, but the cool thing about them is they don’t have a stinger. I’ve always said, the best thing to deal with male carpenter bees is a badminton racket. Essentially, the males wander off and die once there is no mating going on. Sounds familiar for some reason, but maybe I digress again. No poison seems to kill these things…I’ve sprayed them direct with wasp spray and they just laugh it off and go back to drilling holes. Frankly, I think the spray gives them the munchies. Now, the females…THEY have a stinger…and they can hit hard. (why does this all seem familiar…somehow). The thing is, they are not very aggressive and have to be directly provoked before they’ll sting. I’d call tearing down the structure they are nesting in direct provocation…especially since the beams break in unexpected places due to the structural weakness caused by being riddled with the Carpenter bee tunnels. It was cool Sunday morning, and these bees are definitely warm weather critters. If it’s much below 70 they simply are not active. I took that as opportunity to destroy their home. Unfortunately it warmed up fast. I got MOST of the shed down and apart, and burned the infested timbers in a campfire before the remaining bees mounted a defense. I could tell it was time as when I pried one of the beams off, it broke at the nest, and the female fell out on the ground. This would be the direct provocation. Fortunately she hadn’t had her coffee yet so she failed to avoid my second stomp. I took this as notice to stop bashing on Cedar bee infested stuff with loud noise and shock making tools and wandered off to scrape paint in the Sunroom for a while. I’ve got a few minutes work left next weekend, and then a deck to build. In my view though…it already looks SO much better. Mostly dead. See the line on the house? 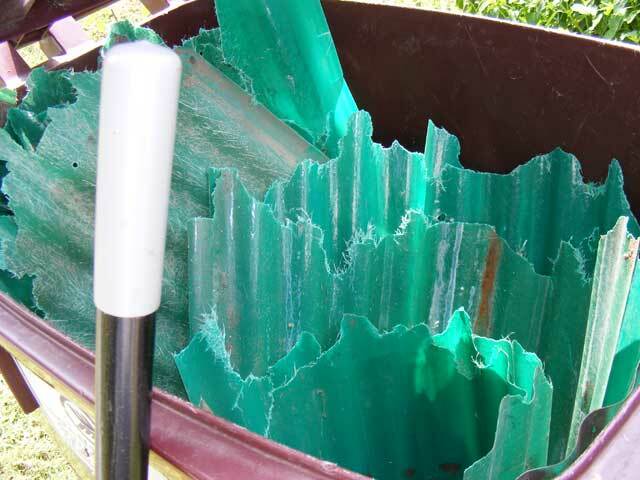 There was no flashing so dirt and water collected there for years. 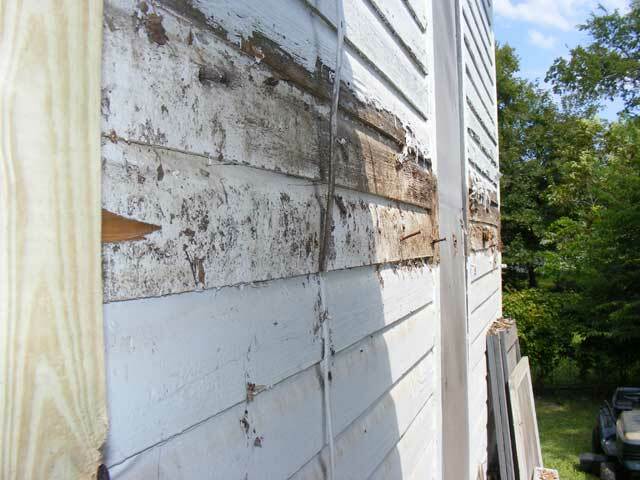 That would have been completely rotted out, except that the siding is actually cypress…a swamp wood that is almost impervious to rot and bugs. …and had another layer of tin added later (making it that much harder to take apart). 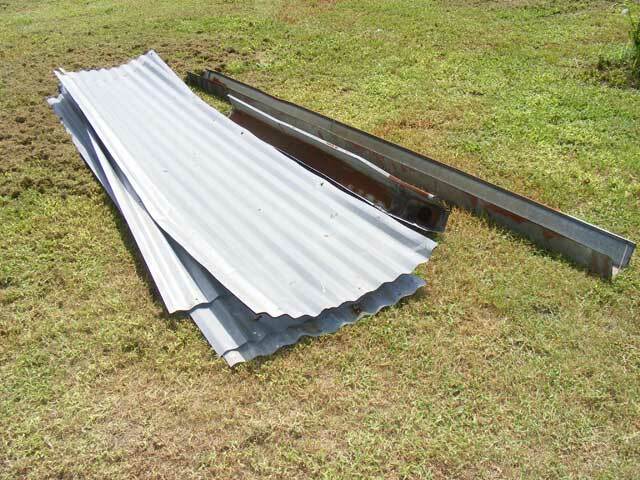 There were 8.238 million sheet metal nails in this thing. Many of them the old ones with the lead washers instead of the rubber. Anyway, to me it looks SOOO much better despite the mess and incompleteness of it all. Clearly, I’m reaching for something to look like I’m making progress here…sigh. Maybe next weekend. 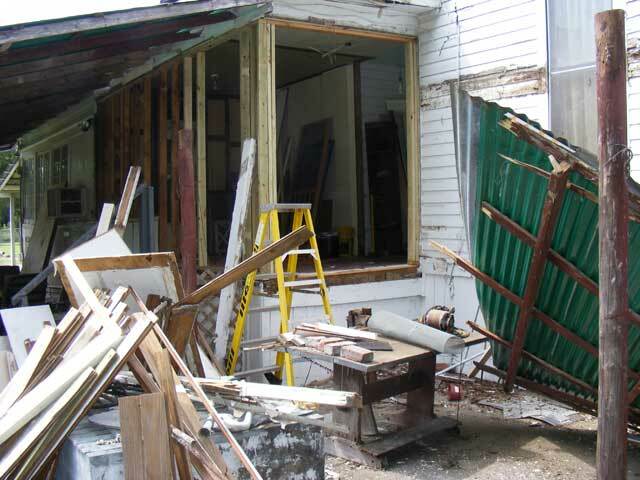 I’m planning on the basic framing for the deck, the window installation, and the French door installation. Oh, and some plywood sheathing. We’ll see. 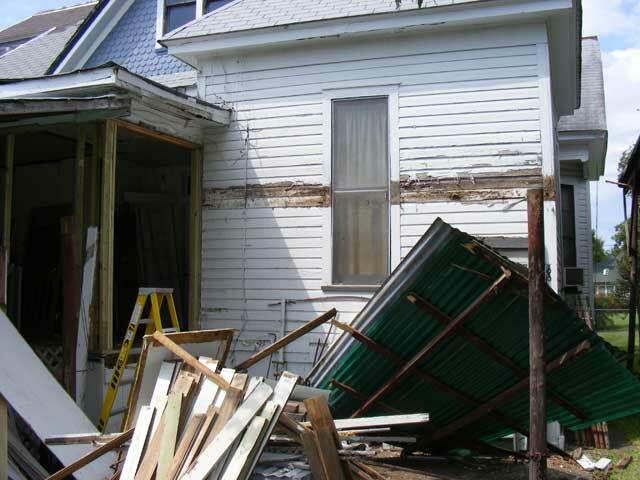 This entry was posted in Carpentry/Structure, Yard. Bookmark the permalink. 2 Responses to Mostly Dead. Pingback: The Old Victorian » My very favorite splice…part deux.